It's hard to really summarize the effect that Donna Gates, M.Ed., ABAAHP, has had on the world of health and nutrition. 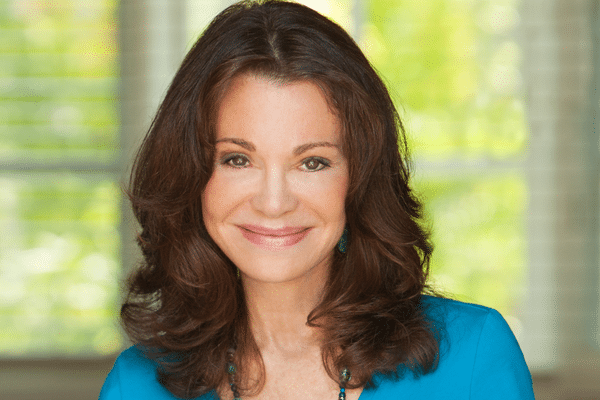 Her international best-selling book The Body Ecology Diet introduced a diet that was the first of its kind—sugar-free, gluten-free, casein-free, and probiotic rich. In 1994, Donna introduced the natural sweetener stevia to the U.S., began teaching about fermented foods, and coined the phrase “inner ecosystem” to describe the network of microbes that maintains our basic physiological processes—from digestion to immunity. Her work has had a big impact on us and probably a lot of you as well. So we're super excited to be able to share something that she wrote about a topic that you don't see very often: your tongue as an indication of your gut health. 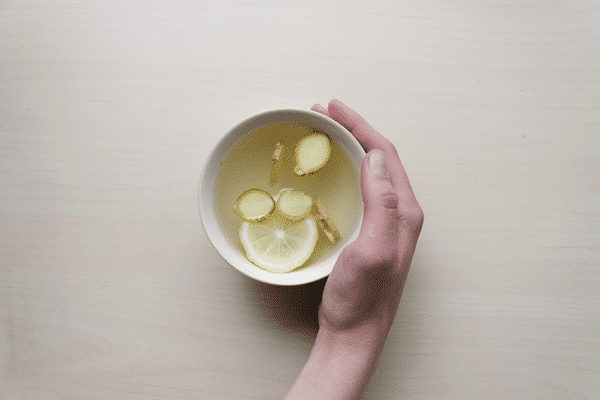 We've talked a lot about gut health on our blog, because when yours isn't functioning properly, it means that you're not getting proper nourishment and everything else can suffer (including your skin). How well we digest food and drink shows up on the tongue. This is visible in the tongue coating and in the tongue color. A light, thin, white tongue coat reflects healthy digestive function. A thick tongue coat reflects an excess of dampness, or pathogenic fluid. The tongue coat may be thick and yellow or thick and white. Most commonly, a thick tongue coat is associated with poor gut function. No tongue coat at all could mean some form of exhaustion in the body. For example, a red and shiny wet tongue could signal that the body does not have enough fluids to produce a coat. A natural balance of fluids in the body is essential for healthy gut function and overall vitality. Tongue color can range from pale pink to red or even have a bluish tinge. A pale tongue tells us that there may not be enough blood in the body. Often the root cause of a pale tongue can be found in diet. This is because food gives us the energy to make blood. A tongue that is purple or has a bluish tinge could be a warning that fluids and blood are not fully circulating. Lack of circulation can also translate into emotional stagnation or depression. If you would rather not talk about your feelings, an acupuncturist will still be able to learn a lot from looking at your tongue! This is because the tongue gives clues about your current mental and emotional state. A red tongue tip shows up when the tongue tip is redder than the rest of the tongue body. This can reflect some kind of psychological stress. According to Chinese medicine, too much thinking or worrying can deplete the cooling, regenerative fluids of the body and generate heat. Heat, as you may have already guessed, shows up as a red color in the tongue. When we see a red tongue or a red tip, it makes sense to avoid foods that can overheat the body. These are foods like wine, alcohol, coffee, spicy foods, and too much meat. No tip or indentation at the tip of the tongue. When someone experiences severe trauma, this may show up as an indentation on the tip of the tongue. Emotionally, this person may be slightly introverted or feel an overall loss of strength. If you see a thick tongue coat, it is time to make some changes! A thick tongue coat in the center of the tongue body or toward the back of the tongue indicates an overburdened digestive system. An overgrowth of bacteria or yeast in the digestive system will often show up as a thick tongue coat. The color of the coat may be white or yellow, depending on a person’s constitution. Too much dampness can contribute to a thick tongue coat as well. When we overburden our digestive system by eating to capacity, we slow down gut motility. While a little digestive disharmony may not seem like anything to worry about, over time it can lead to other problems that involve the immune system and the hormonal system. Fermented foods and probiotic beverages are some of the most effective ways to bring your inner ecosystem back into balance. A healthy tongue should look fresh and have a very thin, white coat. Introducing living enzymes and probiotics to assist in the digestion of your food and to repopulate the digestive tract with beneficial bacteria is a must when correcting digestion and fighting Candida. A simple solution to improve digestion is to follow the Body Ecology Principle of 80/20. This means eating until you are 80% full. It also means not overwhelming your plate (and your gut) with too many starchy or acidic foods. Make sure that 80% of your plate is made up of non-starchy vegetables, fermented vegetables, and ocean vegetables. Soups, broths, steamed vegetables, and cooked foods are often better choices for someone with digestive issues. Avoid large amounts of raw fruits and vegetables. Herbs and spices such as turmeric, cardamom, ginger, coriander, black pepper, and fennel all aid in warming the system and improving digestion. A cup of warm tea 20 minutes before a meal is a great way to stoke the digestive fire. Ginger tea can also benefit indigestion, bloating, and nausea. Enzymes can assist the digestive process by improving the body’s ability to break down the foods initially in the stomach and later in the small intestine to increase mineral absorption. Every person's tongue is unique with distinct characteristics that are a reflection of their inner health. According to ancient Chinese medicine, the appearance of the tongue can reflect the health of the entire body. Additionally, the look and texture of the tongue can be a good indicator of the health of the digestive system, based on the coating and color of the tongue. If you have Candida, you will have a thick tongue coat that points to an overburdened digestive system. Eat fermented foods and drink probiotic beverages to bring your inner ecosystem back into balance. Use the Principle of 80/20 at every meal. This is such an interesting series. Although I have a child that has something called Geographical tongue (spotted red map like spots) and we can’t seem to find what is causing it or if there is a lack of something in his diet. Dr says he’s healthy. We eat a very healthy diet with fermented foods also. Any ideas of what causes this. Comments are greatly appreciated. If you’re able to, take your kiddo to see an herbalist or a Traditional Chinese Medicine practitioner. They’ll have all sorts of answers for you! Still hate Stevia and FYI, natural is not always safer or better. This was an interesting article, but it would have been greatly enhanced with example photos of the different tongue coatings and colors. If I don’t have a baseline to compare my own tongue against, it’s difficult to know if it is healthy or not. Thank you for introducing me to these ideas, though. Hang on AND let go? OK, Doris Day. I’m slightly confused about the red tip tongue information. My holistic physician told me that the redness on the tip of my tongue could be a vitamin B12 deficiency. This often occurs for vegetarians. Your information indicates eating TOO much meat could cause the same thing. It looks like I will have to do more research. Love Donna Gates! I think everyone should read her book! Even if you don’t have many health issues, there is a lot to learn. Cutting out sugar and dairy (and in my case grains) is what cleared my skin after everything else failed. My digestion also improved dramatically. I don’t follow as strict a protocol as Donna recommends, but still follow some of her basic principals.